Perhaps the most famous hotel in Cuba, the Hotel Nacional in Havana is one of those hotels that in terms of its iconic status, can be compared to the likes of Raffles in Singapore, the Eastern & Oriental in Penang and Galle Face hotel in Colombo. Located on Taganana hill, with sweeping views over the nearby ocean, the site on which the hotel was built was originally the Santa Clara Battery which dates back to the end of the 18th century; part of the battery was preserved within the hotel’s extensive gardens and includes 2 large coastal guns. 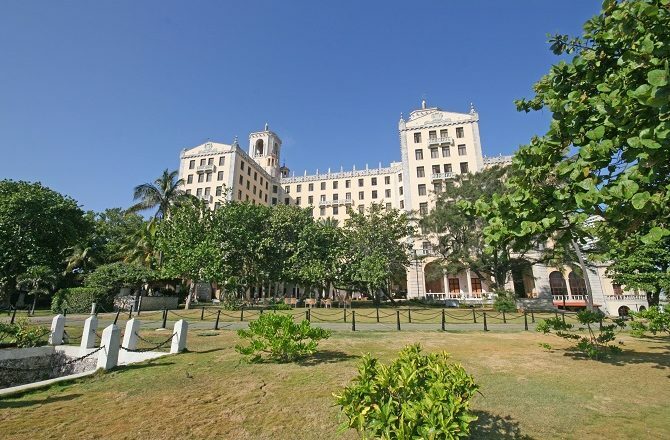 Opened in 1930, and targeting the dominant US tourism market, the Hotel Nacional immediately took its place as the most luxurious hotel in Cuba and the place to stay and be seen. A troll through the guest list of the hotel reads as a Who’s Who in the world of entertainment and politics – Frank Sinatra, Errol Flynn, John Wayne, Marlon Brando, Ernest Hemingway and Winston Churchill are just some of the thousands of famous guests the hotel can boast of. Somewhat less salubrious is the Hotel Nacional’s links to the history of the mafia, also frequent guests at the hotel, who even arranged a summit at the hotel in December 1946; this was later made famous by Francis Ford Coppola in the Godfather Part II. 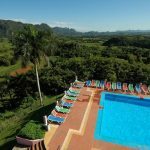 With the Cuban Revolution in 1959, the number of American visitors to Cuba collapsed and with the additional closing of all casinos in Cuba (including at the Hotel Nacional), the future of the hotel was somewhat precarious. During the Cold War, the hotel was mainly used to house visiting government officials and diplomats and standards dropped significantly. 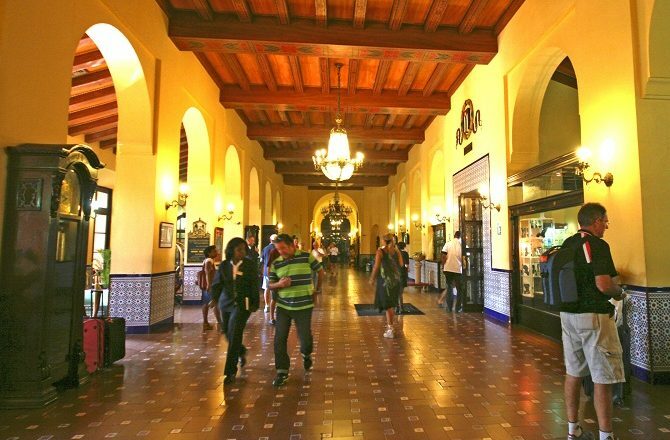 The end of the Cold War, and the withdrawal of financial aid from the old Soviet Union, forced Cuba to re-embrace tourism and, consequently, to try and attract tourists back to the Hotel Nacional. 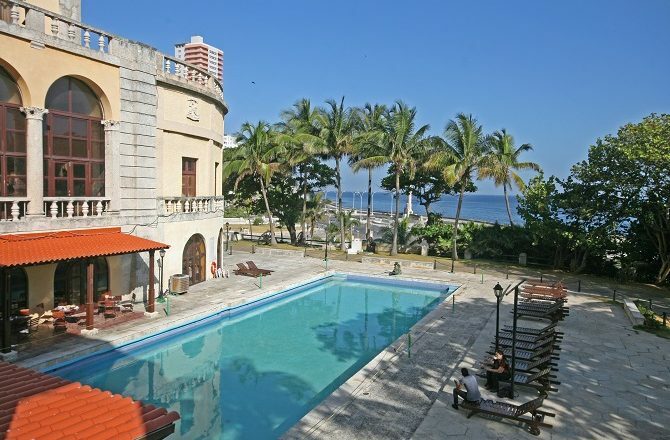 The hotel has undergone a degree of renovation and refurbishment in the intervening years but is no longer the luxurious hotel that many visitors expect; while the public areas remain their grand style and the garden and views out to sea are unrivalled in Havana, the standard of accommodation, facilities, dining and service is far from what one can find elsewhere around the world. Coupled with these shortcomings, the location of the hotel is no longer an advantage. 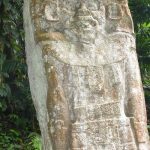 At the time it was built, and up until the Cuban Revolution, the emphasis in Cuba was very much on modernity. Most visitors to Havana now are more interested in the city’s colonial history and architecture and prefer, where possible, to stay in the UNESCO World Heritage listed Old Havana district of the city, a taxi ride away from the Hotel Nacional. 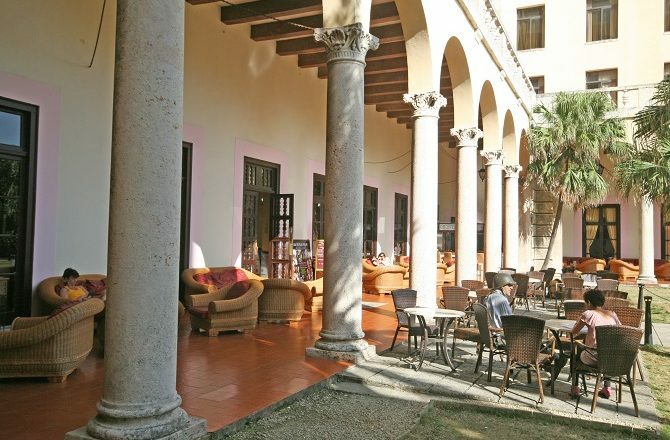 Old Havana now boasts over 20 hotels, including hotels that are significantly more luxurious than the Hotel Nacional, properties such as the Parque Central & Hotel Saratoga. 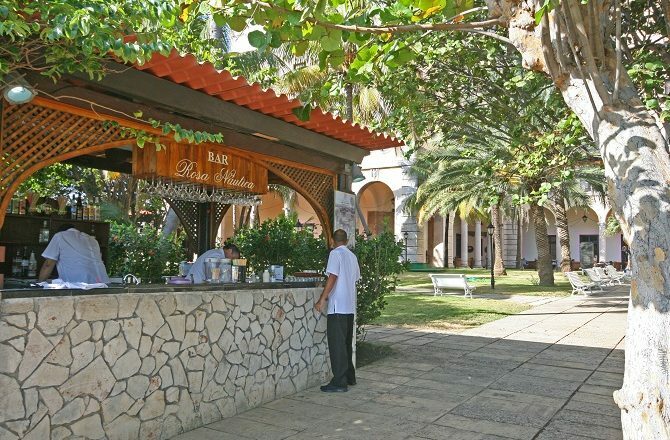 For many visitors to Cuba, the best option is to stay in Old Havana and visit the Hotel Nacional, either for a drink, a meal or to attend the hotel’s re-opened cabaret.